The IMAGE function displays image data in a graphics window. See File Formats for a list of supported image types. The following lines create the image shown at the top of this topic. ; with a lower-left pixel at [-180,-90]. ; Restrict the range to one hemisphere. ; Overplot another image, same dimensions. ; Fade between the two. See Image examples, or Image with a Map Projection, or Viewing an Image. The IMAGE function returns a reference to the created graphic. Use the returned reference to manipulate the graphic after creation by changing properties or calling methods. A filename, vector, two-dimensional array, or a three-dimensional array containing RGB or RGBA pixel values. If Data is three-dimensional, then if any one of the dimensions is 3, it is assumed to represent the red, green, and blue channels. If Data is three-dimensional, then if any one of the dimensions is 4, it is assumed to represent the red, green, blue, and alpha channels. Tip: Instead of X and Y, you can also use the IMAGE_DIMENSIONS and IMAGE_LOCATION properties to define the image grid. Set this keyword equal to an anonymous structure containing the GeoTIFF tags from a GeoTIFF file. For information on GeoTIFF tags, see the GEOTIFF keyword in the READ_TIFF function. Set this keyword to a 2-element vector, [width, height], to specify the image dimensions (in data units). By default, the dimensions equal the number of columns and rows in the image. If this property is set then the X and Y arguments are ignored. Note: If GRID_UNITS is in "degrees" then IMAGE_DIMENSIONS should be set to the width and height of the image, in degrees, on the Earth's surface. If GRID_UNITS is in "meters" then IMAGE_DIMENSIONS should be set to the width and height of the image in meters. In this case, set the MAP_PROJECTION property to specify the actual map projection associated with the image. Set this keyword to a 2-element vector, [x, y], to specify the location of the lower-left pixel in data units. By default, the location is [0, 0]. If this property is set then the X and Y arguments are ignored. Note: If GRID_UNITS is in "degrees" then IMAGE_LOCATION should be set to the latitude and longitude of the lower-left corner of the image. If GRID_UNITS is in "meters," then IMAGE_LOCATION should be set to the X offset and Y offset of the lower-left corner of the image within the image's map projection. 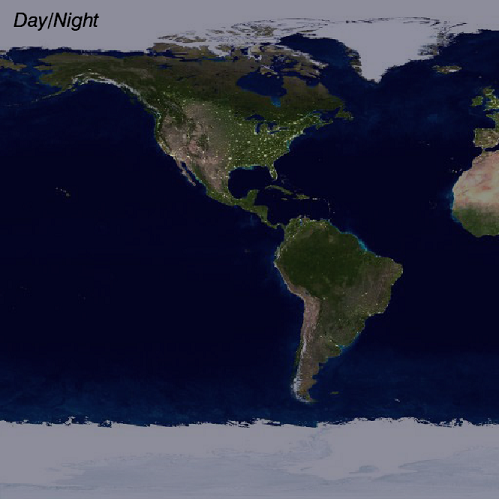 In this case, set the MAP_PROJECTION property to specify the actual map projection associated with the image. Set this keyword to force the rows of the image data to be drawn from top to bottom. By default, image data is drawn from the bottom row up to the top row. 0 or "" - None. The image grid is in arbitrary units that are not tied to a map projection. The image will not be warped to the current map projection. 1 or "m" or "meters" - Meters. The image grid is in meters, and is tied to a particular map projection. The image will be warped to the current map projection. 2 or "deg" or "degrees" - Degrees. The image grid is in degrees longitude/latitude, and will be automatically warped to the current map projection. Set this property to 1 to display the image using bilinear interpolation. The default is to use nearest-neighbor interpolation. If a map projection is currently in effect, this property retrieves a reference to the MAPGRID object. If a map projection is currently in effect, this property retrieves a reference to the MAPPROJECTION object. A string giving the name of the map projection associated with this image. After creation, use this property to retrieve or set the current map projection. See below for a list of available map projections, projection properties, or grid properties. Note: If you set the MAP_PROJECTION property, you should also set the GRID_UNITS property to either "degrees" or "meters". You should also set the IMAGE_DIMENSIONS and IMAGE_LOCATION keywords as necessary. If the image has GRID_UNITS in "degrees" (latitude and longitude), then IDL will use the specified map projection to set the projection for the entire dataspace. IDL will warp the image from degrees to meters and overlaid onto the map projection. If the image's GRID_UNITS are "meters," IDL assumes the image is already projected into the specified map projection. In this case, use the IMAGE_DIMENSIONS and IMAGE_LOCATION properties to register the image at the correct map location. If you are placing this image into a new graphic dataspace, or the existing dataspace does not have a map projection, then IDL will apply the image's map projection to that dataspace. Finally, if the image's map projection matches the dataspace's map projection, IDL will overlay the image directly onto the map with no warping. If, however, the image's map projection does not match the projection of the current dataspace, IDL will warp the image from its projection to the dataspace's map projection. A scalar or array giving the maximum image data value to be used when displaying the image. For byte data the default is 255. For other data types the default is the maximum data value for each band. If a scalar value is provided then the same value is used for all bands in the image. If an array is provided, it should have three elements for an RGB image, or four elements for an RGBA image. A scalar or array giving the minimum image data value to be used when displaying the image. For byte data the default is 0. For other data types the default is the minimum data value for each band. If a scalar value is provided then the same value is used for all bands in the image. If an array is provided, it should have three elements for an RGB image, or four elements for an RGBA image. Tip: If you have a byte image that does not span the entire 0-255 range, you could set the MIN_VALUE and MAX_VALUE properties to the minimum and maximum data value to stretch the data to fill the 0-255 range. Or, instead, you could set the RGB_TABLE to a color table that only contains colors that span your data values. The number of the predefined IDL color table, or a 3 x N or N x 3 byte array (where N <= 256) containing color values to use for two-dimensional indexed-color image data. You can also set the RGB_TABLE to a string array of !COLOR color names, and IDL will automatically retrieve the RGB values using the COLORTABLE function. If the data is a true color image (RGB or RGBA) then this property is ignored. This property repositions the image inside of the graphics window. Set SCALE_CENTER to a two-dimensional array of image coordinates (in pixels) to be reset to the center of the graphic window. For example, if your image is 512 pixels x 512 pixels and its default center is (256,256), setting SCALE_CENTER=[100,100] resets pixel location (100,100) to be at the center of the graphic window. This has the effect of moving your image up and to the right of its default location. Note: If you specify pixel coordinates beyond the range of your image, you may lose the image from the graphic window. If you do not know the pixel coordinates of the image's original center location, use the "Reset Axis Range" button on your graphic window to set your image back to its default. SCALE_FACTOR=1 indicates that the image displays 1:1 in relation to the graphics window. SCALE_FACTOR=.5 means IDL displays the image in a ratio of .5:1 (or 1:2). SCALE_FACTOR=2 tells IDL to display the image 2:1. Set this property to a string specifying a title. If TITLE is specified, you can also specify any of the FONT_COLOR, FONT_NAME, FONT_SIZE, and FONT_STYLE properties to control the title appearance. After creation the TITLE property may be used to retrieve a reference to the title text object, and the TEXT properties may be used to modify the title object. An integer between 0 and 100 that specifies the percent transparency of the image. The default value is 0. Set this property to the height of the Z plane onto which the image will be projected. The default is 0. See the Map function for a description of the map projections. To set these properties after creation, you can use the MAPPROJECTION property to retrieve a reference to the MapProjection object, and then set the properties on that object. See MAP_PROJ_INIT for a description of these properties. To get or set a property after creation, you can use the MAPGRID property to retrieve a reference to the MapGrid, and then get or set properties directly on that object. See the MAPGRID function for a description of these properties. Added the following methods: Delete, GetData, GetValueAtLocation, MapForward, MapInverse, SetData. Change MIN_VALUE and MAX_VALUE to be the min/max data values per band. Add table of map projection and map grid properties. Added automatic gridding of irregularly-spaced data, and the IRREGULAR keyword. Added SCALE_FACTOR and SCALE_CENTER properties. For RGB_TABLE allow a string array of color names. Added ellipsoid support to Near Side Perspective projection.